For what it's worth, I think Paul Krugman makes some good points about the problems inherent in using the tax code to encourage or discourage the purchase of health insurance in his column today (original here, reposted here). I obviously don't sign on to his characterizations of "Bush and his advisers," and he stops short of his usual call for a single-payer system, so there's no reason to get into that today. Were it up to me, I'd completely eliminate the exclusion of health insurance premiums from taxable income. That levels the playing field between premiums and other expenses (as the Bush plan tries to do), but it does so without forcing the tax code to be the arbiter of whether something was a legitimate health expenditure or not. It also raises tens of billions of dollars in additional tax revenue that can then be directed to all the other things the government needs to pay for. Again, wow. No economic analysis I’m aware of says that when Peter chooses a good health plan, he raises Paul’s premiums. And look at the condescension. Will all those who think they have “gold plated” health coverage please raise their hands? A pecuniary externality is an externality which operates through prices rather than through real resource effects. For example, an influx of city-dwellers buying second homes in a rural area can drive up house prices, making it difficult for young people in the area to get onto the property ladder. This is in contrast with real externalities which have a direct resource effect on a third party. For example, pollution from a factory directly harms the environment. Both pecuniary and real externalities can be either positive or negative. So in the President's defense, there's a very simple argument to be made here. When one person feels inclined, for whatever reason, to purchase more health care services, that puts upward pressure on the price of health care services (if the supply curve is not flat) and thus the cost to everyone else in the market. Normally, we don't pay any attention to this, because that is precisely the mechanism by which a competitive market achieves economic efficiency. The President is referring to the pecuniary externality generated by a tax distortion in the treatment of health insurance, which interferes with a market achieiving economic efficiency and thus should concern us. It goes as follows. Premiums are fully excludable from income tax, but out-of-pocket expenses are not tax advantaged. That favors health insurance arrangements in which there are low deductibles and high premiums. Such arrangements can lead to higher utilization of health services, since the insured faces no financial cost at the margin once the low deductible has been met. (This is just a standard moral hazard argument.) Krugman may not believe that the relevant behavioral effects are large here, but he's on shaky ground with his "Wow ... no economic analysis ..." comment. For more on pecuniary externalities, I came across this source. I think the "gold plated" insurance covers things like dental and eyeglasses. I broke a tooth (ouch) and it cost almost $2000 to fix it. Out of pocket. Ouch. Tooth was not gold plated. Neither was my insurance. If there is a concern about people buying health care they don't need, then they should revisit the health care savings accounts. If you can't spend it on health care, you lose it. So lots of people buy extra glasses or health care they don't need so not to lose entirely. Bakho, you're confusing health care savings accounts with flex spending accounts. Health-care savings accounts or Health Savings Accounts (HSAs), don't include that "use it or lose it" provision. That money in an HSA is pre-tax and grows tax free year over year. It is yours to spend on health-related expenses no matter when they're incurred. OK. So they should revisit the flex account rules. Sorry. The spending account my employer runs is use it or lose it. I know a lot of people that overspend on these accounts because of use it or lose it. My wife and I disagree on how much to put in. She gets annoyed if we pay for health care without the tax break. I get annoyed if we have to buy something we don't need to drain the account. For some reason I am not eligible for the HSA option. They write this legislation like HSA so mostly wealthy people get the advantage. So even if the HSA is written to roll over, many people are still being screwed by the non-rollover provisions of the flex health accounts. Is it true that more people have flex accounts than HSAs? "Were it up to me, I'd completely eliminate the exclusion of health insurance premiums from taxable income." I bet your clerical staff disagrees and would vote with their feet. How much taxes would your secretary have to pay? A secretary making $10 /h would make $20,000 / y. Health benefits for a family of 4 can be worth $10,000. At 17% tax rate, the salary would drop by $1700. This would drop take home pay from about $15000 to $13,300, at least a 10% cut in take home pay. Your university would probably have to cut their insurance benefits or give employees enough raise to pay the tax. People take jobs for less than $10/h because they pay benefits for the whole family. I do expect pre-tax wages to change as a result of this tax change. In the current system, some of the benefits of the tax exclusion are shared with the employer. So employers will naturally share in the loss you are describing. But now the government has the additional tax revenue. Your comments suggest that it would be better spent by giving income tax relief to the lowest income workers rather than an income exclusion to everyone. I have to side with Krugman. You are correct that, theoretically, so-called gold plated plans could have higher utilization and push up prices by increaing demand. However, theoretically, so-called gold plated plans could reduce demand for health care services by providing greater access to preventive care that saves resources in the long run. Also, it is possible that so called gold plated plans do not have stringent cost containment (unlike HMOs; luxury lines tend to have higher margins) and thus might permit health care providers to lower prices for care provided through HMOs. Since Bush made the claim, it is incumbant on him to have support beyond self-serving speculation. Your argument is missing the point. "The tax code, he said, “unwisely encourages workers to choose overly expensive, gold-plated plans. The result is that insurance premiums rise, and many Americans cannot afford the coverage they need.”"
It is however conceivable that insurance companies are subsidizing the "gold-plated" plans in order to attract the weathiest customers. This would be a big concern and should of course be prevented by good regulation. But neither Bush nor Andrew are referring to that. Bush is discussing the interaction of two groups of consumers in a market. He is claiming that one group demands more than it would otherwise due to the tax code. Markets have supply curves. If the supply curve in Bush's market is not flat, then prices increase. Your restaurant argument, if applied on the same scale as the number of people with low-deductible, high-premium plans, would also be appropriate. However, it is more reasonable to assert that the supply curve is not particularly steep. There are no good arguments for socialism, if the alternative is capitalism. "Bush is discussing the interaction of two groups of consumers in a market. He is claiming that one group demands more than it would otherwise due to the tax code." result in a call for a more socialist health care system. "Your restaurant argument, if applied on the same scale as the number of people with low-deductible, high-premium plans, would also be appropriate." I wonder what scale you are talking about. In any case, are you seriously saying that the restaurant industry would be more efficient if there were only McDonald's type restaurants? What's the last thing you consumed that wasn't a public good? What if some other person outbid you for the last one? Are you better off or worse off? What if you were outbid because the other person had a tax-incentive to buy the item that you do not have? Are you better off or worse off? None of this leads to a preference for a socialist system of health insurance, or a limit on the number of choices available in a market (your McDonald's comment). 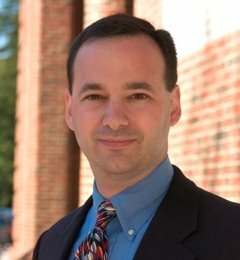 It simply requires us to recognize that in markets in which prices are flexible, they'll move in response to shifts in demand, and those shifts will have distributional consequences, not all of which are desirable when the demand shifts are induced by tax-incentives that are not good public policy. Andrew, you are not responding to my arguments and you don't even attempt to offer an argument based on real-world experience, rather than on abstract supply curve theory without any empirical backup. Alas, that is the typical modus operandi of many economists and that's why many educated people hesitate to call what you are doing "science". "not all of which are desirable when the demand shifts are induced by tax-incentives that are not good public policy." That the tax-incentive in question - an incentive to buy insurance (not necessarily "gold-plated" insurance, just insurance) is "bad public policy" is a hypothesis which you do not prove and which does not follow from your argument. And frankly, it is highly implausible. Without the tax incentive, fewer people would have insurance, which has negative consequences for the whole society. 1) Do you believe that an increase in the demand for health care by a group of people will raise the average price of health care for all people in the market? 2) Do you believe that a group of people can be induced to demand more health care through the design of their plan? For example, will they use more services if they pay less (or nothing) out of their own pockets at the time of service? 3) Do you believe that the tax code, particularly its lighter treatment of premiums compared to out of pocket costs, induces insurance companies and their customers to have insurance plans with high premiums and low out of pocket expenses? The President answers all three of these in the affirmative. How do you answer them? I trust you can read the mind of GWB, since he didn't make any of those assumptions explicitly. "Do you believe that the tax code, particularly its lighter treatment of premiums compared to out of pocket costs, induces insurance companies and their customers to have insurance plans with high premiums and low out of pocket expenses?" I don't "believe" anything. I am looking up the health plans offered by my insurance provider. There are two plans that I was asked to choose from: "Classic" and "Point of service". The second is 50% more expensive, and would allow me to consult out-of-network doctors. In that case, however, I would have to pay considerably higher deductibles and co-payments, in addition to the higher premiums. So, if that is what you call a "gold-plated" plan, then no, your argument doesn't hold. Now I will assume that I have the choice between paying higher premiums and lower co-payments, or the reverse. I grant the logic of your argument, but still things are more complicated than you paint them. If I am young and healthy, I will opt for the lower premiums. If I anticipate making frequent use of health care services, I might opt for the lower co-payments. It might look as if I am "induced to demand more health care" but in reality, I am just trying to minimize my total cost. Btw I am a text book "homo oeconomicus", and I am about the only one I know. Many people don't make health care decisions in the same "rational" manner. This is something that you need to take into account. Health care isn't just another market where the same mechanisms operate as in any market. Krugman has made this point repeatedly, and it is important to bear in mind. To cite just one other example, high co-payments may be counter-productive because they induce people to abstain from preventive health services or to wait too long before consulting a doctor. I appreciate your posts but I feel that they need more real-world connection.